There are two reasons to see this movie. 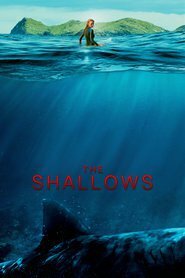 1) To see a beautiful woman (Nancy, played by Blake Lively) surfing through crystal clear water and tackling big waves with grace and ease. 2) To see Nancy fighting for her life as a Great White Shark attempts to eat her. Lively does a great job of the one-on-one struggle with the shark. She and the shark are the best things about this movie. The shark looks real and the attacks are believable. Unfortunately, the narrative that brackets the middle is cheesy and poorly acted. If you can forget those two aspects of the movie and just focus on the middle, you’re in for a pretty intense, on the edge of your seat, experience. A refreshing change to the tiresome block buster hero movies that are saturating our screens at the moment.